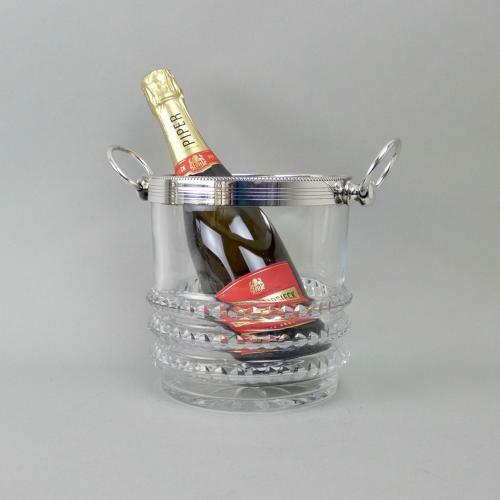 A superb quality, French crystal, champagne cooler by Baccarat. This piece is made from an extremely heavy, quality, crystal and it dates from c.1920. It has three rings of a heavily cut design to the lower section and white metal mounts to the rim. It measures 20.3cm. high by 19cm. diameter and 23.7cm. wide across the handles. The design is very pleasing and the piece is in excellent condition.